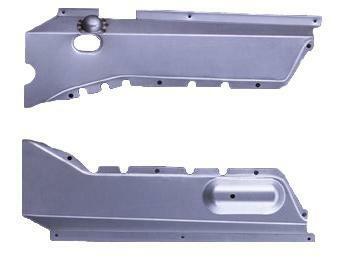 Engine Splash Pans for open valve engines. Engine Splash pans for open valve engines. These engine pans are exact duplicates of the original pans in every aspect. Excellent quality.